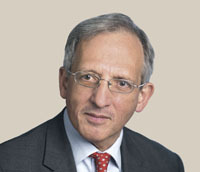 In November 2016 Sir Jon Cunliffe, deputy governor of the Bank of England, spoke at the annual dinner of the Association of Financial Markets in Europe, on the challenges facing financial markets. Here is a 10-point summary of his speech. You can read the full speech here or download a PDF of this summary here. The wave of financial globalisation came to an end with the First World War. The current second wave of globalisation is accelerating.Today, external financial assets stand at 180% of global GDP compared with only 20% in 1960 and 60% in 1900. Stock market capitalisation is three times higher than 20 years ago, while debt securities outstanding and FX markets turnover are four times higher. And derivative markets are a lot bigger than the markets in their underlying instruments with outstanding amounts of six times higher than 20 years ago. Globalisation has been accompanied by concentration. According to conventional economic theory, concentrations have certain advantages: a) more efficient matching between employers and employees leading to a more specialised workforce b) higher demand for intermediate inputs attract a wide range of suppliers and c) the faster and better exchange of knowledge and skills, results in a better allocation of capital and more efficient production. Financial services is a complex, knowledge-intensive industry with a complex production chain that depends heavily on a large pool of specialised labour, specialised suppliers, and quick access to information and innovation. The numbers speak for themselves: the sector employs 390,000 in London and 330,000 in New York. In 2014, for every £100 of gross value added by the sector in the UK, £23 is input from other financial services firms and £29 from legal, accounting, consultancy, IT and others. In addition, the need for market liquidity and trading efficiency, which requires a large number of participants in a single venue, serve as additional forces as well as the market infrastructure, which results to increasing returns to scale. One would expect that globalisation and IT revolution would mean less concentration because of the ability to interact at the same time with market participants from all over the world and of local markets to benefit from the lower costs, greater efficiency, and specialisation offered by financial centres. However, concentration has increased, most probably due to the access to economies of scale. Historically, financial sector concentration went hand-in-hand with trade and commerce (for example, Venice or Amsterdam). However, the rise of London as the world’s leading financial centre has been accompanied by a decline in UK’s importance in trade. The main forces behind London success are: 1) the EU single market 2) the scale of financial markets has eclipsed the surplus generated by trade or manufacturing 3) the rapid increase and size of financial flows compared to current account flows and the associated returns to scale and specialisation 4) technological development allowing investment decisions and risk management to be in London and assets being booked elsewhere 5) the changing nature of inputs in financial markets as for example in derivatives where more human capital is required, encouraging activity in London due to the dominance of UK law and 6) the deregulation of the City in the 1980s and 1990s. The industry and in particular, large financial centres should work for the real economy by linking savers to investors, providing insurance and facilitating economic activity. However, the crisis showed us that financial centres can create and amplify risks, disconnect from the real economy, and become subject to ethical drift. One of the biggest challenges financial markets face is in maintaining the support of society for the functions they perform. Since 2008 wholesale market participants have paid $170bln in misconduct fines – and there is more to come. The Bank of England’s recent Open Forum on fair and effective markets revealed that there is a lack of trust in the industry, and that there is a need for cultural and ethical changes in order to address the ethical drift and persuade society that markets work for its benefit. Although misconduct and integrity are not part of the Bank’s mandate, the Bank has been active not only in developing ‘hard law’, such as the Senior Managers Regime, but also ‘soft law’, such as the Fair and Effective Markets Review with the FCA and HMT, and the creation of the FICC Market Standards Board. Financial centres innovate and change rapidly and as such the risk profile of some sectors. Market-based finance has been growing rapidly since the crisis with asset under management of the top 500 asset managers standing at a level nearly equal to annual global GDP, and although funds are generally stable during stress times and less leveraged than banks, they have become more active in illiquid and volatile markets. For this reason, the Bank is monitoring developments and in particular, whether funds are properly managed and cope with redemption pressures, and whether pressure can be transmitted to the rest of the system during stress times. It is uncertain what the final arrangement between the UK and the EU will look like, and despite the fact that London emerged as a global financial centre not only due to the single market, it will not be a zero sum game. Some activities will move away from London and in the long-run, the effects of concentration might be replicated elsewhere, but the most likely outcome is the fragmentation of wholesale markets with significant costs for both sides. Large, interconnected and complex financial centres pose risks and face certain challenges which will remain central to the Bank’s objectives and responsibilities. Brexit and the need to restore the relationship with the society are the main challenges for the years to come.